Place the Crock-Pot ingredients into the Crock-Pot, mix, cover and cook for 6 hours on high or 8 hours on low. 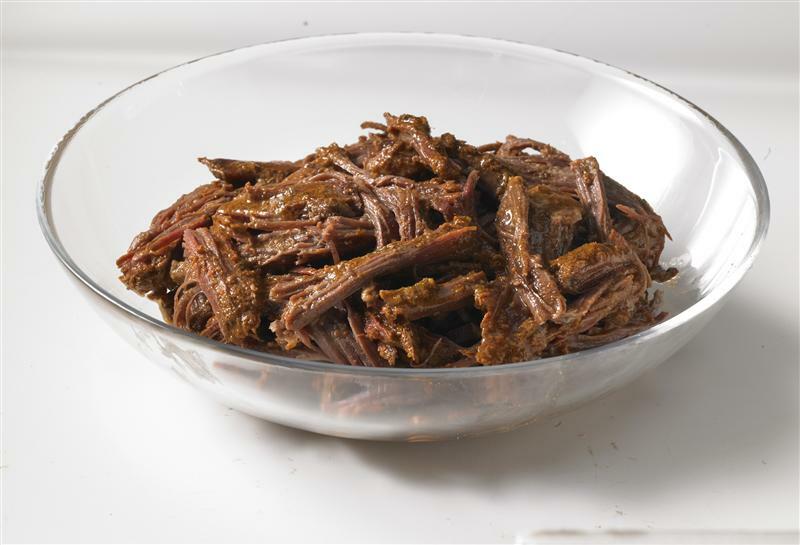 Pull out the meat and shred it on a plate with forks. Heat the oil on medium in a large skillet, add onions, and sauté until translucent, about 5 minutes. Add the garlic cloves, bell paper, jalapeño, and spices to the skillet, cooking for 1-2 minutes longer. Add shredded meat, tomato sauce, and green chilies. Mix thoroughly. Simmer for 10-15 minutes more or until bell peppers are tender. Serve on salad or tortillas.